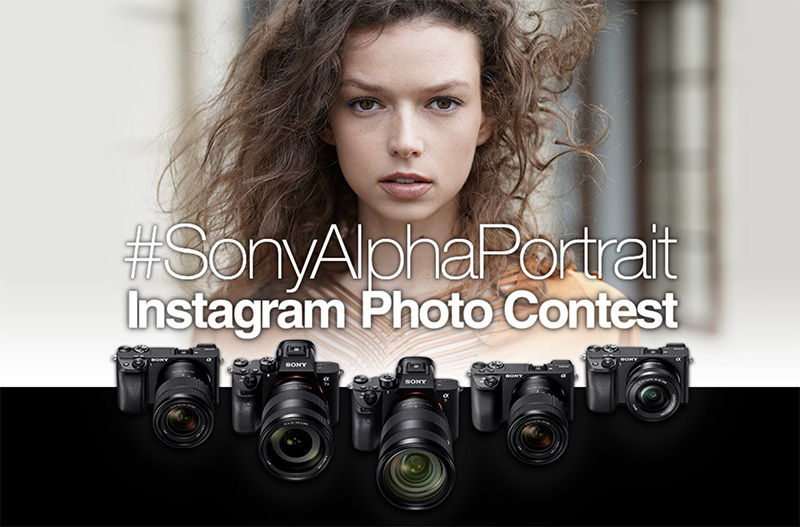 Sony Europe Limited is holding an Instagram portrait photo contest for the users of Sony Alpha series cameras. First place prize is a Sony a7 III, second place the a7 II, and third place the a7, all with the 28-70 kit lens. Sony Alpha users in the following countries are eligible to enter: Germany, United Kingdom, France, Italy, Spain, Netherlands, Switzerland, Poland, Norway, Austria, Sweden, Belgium, Denmark, Finland, Greece, Romania, Estonia, Lithuania, Latvia, Hungary, Portugal, Bulgaria, Ireland, Luxembourg, Czech Republic, Slovakia and Turkey. You can take part in this contest by sharing your photos on Instagram. The contest entry will be valid from photos posted on Instagram from 14 June 2018 to 16 August 2018. Entries will be judged on the basis of the level of creativity, originality and visual/emotional impact of the image and the winning entries will be announced on Sony group websites and social media channels. Winning photos selected in Europe will also be entered for a global contest and global winners will be selected among entries from all over the world. Visit the competition page for full entry details and terms and conditions. The competition is also running in: Australia and New Zealand, Singapore, Philippines, Middle East & Africa FZE, and India. It doesn’t look like Sony US is running a similar competition right now, but they are currently running a Sony Alpha Portrait Month.